We’re lucky that Yale is just a 20 minute drive from where we live in Hope. It’s lucky because (a) I can legally recreationally fly my drone there , and (b) because the river is a great place to walk along. In tourist season there is also the ‘Ward Tea House’ based in a house that dates back to the gold rush. If you’d like a sense of scale in the photo below, look for the road at the bottom and you can just make out the cars appearing as small dots! 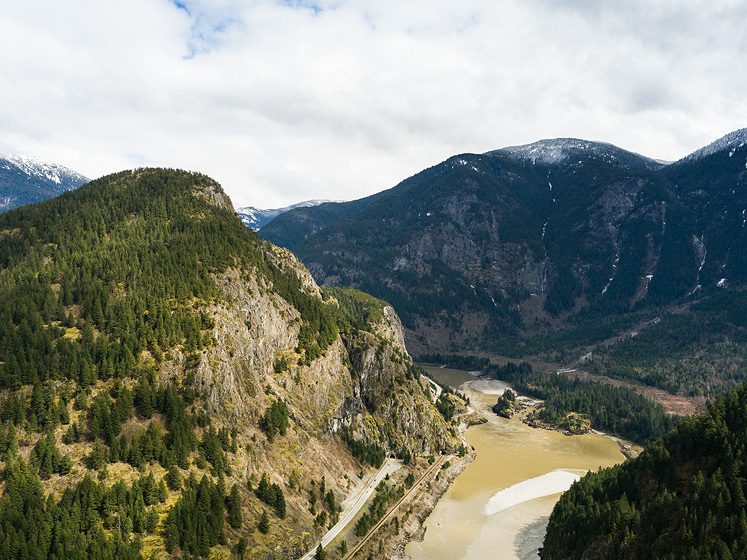 The Fraser Canyon is an awe-inspiring place!